PALO ALTO, Calif., March 20, 2019 /PRNewswire/ -- Sciton®, Inc. a leading manufacturer of high-quality laser and light systems in the medical and aesthetic market, announces the HALO™ Distinguished Partner Program. 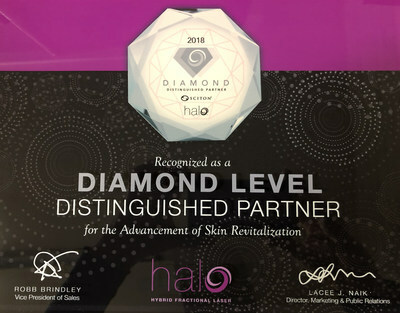 Established to identify excellence in the aesthetic and cosmetic space, the program recognizes practices for their application of the HALO technology, outstanding outcomes, and excellent patient experiences. "Sciton's practice of designing and manufacturing innovative medical and aesthetic lasers with technology driven value ensures reproducible results-based solutions," shares Director, Marketing and Public Relations Lacee J. Naik. "Recognition of trailblazing practices that advance a high level of performance is one of the ways Sciton engenders client relationships." The innovative HALO treatment delivers both ablative and non-ablative wavelengths to the same microscopic treatment zone, addressing epidermal and deeper dermal pigmentation as well as tone and texture. The operator can customize coverage-base treatment levels depending upon the needs of the patient to deliver the exact amount of energy necessary to complete a safe and effective treatment. "Sciton's HALO is a game changer. HALO's unparalleled combination of both ablative and non-ablative wavelengths offers laser surgeons the ability to individually customize treatments for each patient. I can finally give patients precise and consistent results," says Dermatologist, Melissa Kanchanapoomi Levin, MD. The Distinguished Partner Program exemplifies Sciton's long-standing commitment to innovation and will launch in North America with designated practices. This is a follow-on program to our already successful Center of Excellence program for our Women's Health division that was launched in 2017. Both programs identify practices that have demonstrated excellence through their application of the hybrid fractional laser modules on the JOULE platform, Sciton's flagship system. HALO and diVa are available on the JOULE™ platform, which offers multiple modules to treat a wide range of indications. 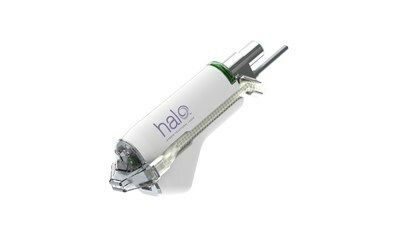 Visit www.HalobySciton.com to learn more about HALO and www.diVabySciton.com to learn more about diVa. For more information, and a complete listing of Sciton systems, visit www.Sciton.com.